March 2015 Special Election: There is a special election on Tuesday, April 28 for Spokane Prop 1 to support our Spokane bus system. Ballots are mailed out for the April special election on Wednesday, April 8, 2015. If you do not receive your ballot, by Monday, April 3th, please call the Spokane County Elections office (509-477-2320) for a replacement. They are open from 7am to 4pm, Monday through Friday. You must have your special election ballot post-marked by election day,Tuesday, or you can place it in a ballot drop off box by 8 pm that evening. All City and County libraries have free, white drop of box and so does the down town bus plaza on the east side by the mail boxes. Also, you can stop by a voter service center on election day. Follow this link for ballot box locations, last mail pick up times in Spokane County, and other info. The revenue generated by Prop 1 will end after 10 years in Spokane. Prop 1 will sunset so voters can evaluate how effective the money was spent and then decide if they want to continue it. 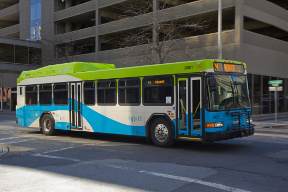 The Spokane Transit Authority (STA) is one of the most trusted public agencies in the State and has a track record of running lean and efficient operations. STA per hour productivity beats other, larger transit agencies in Washington State. over $120 million in new public construction projects generating good paying jobs. Tens of thousands of people in Spokane County depend on our buses every day to get to work, school, and shopping centers. Without neighborhood bus routes, many of the people who work and shop would have few other options to get around and to keep our economy running . Included in the package is the Central City Line. This modern electric trolley will be Spokane County’s first new transit mode in decades. If built, this project will leverage tens of millions of additional dollars in competitive federal money to Spokane and create even more jobs. The projects and service increases from the ballot measure will be spread all over Spokane County including City of Spokane Valley, Liberty Lake, West Plaines, and of course the City of Spokane. Older, inner city neighborhoods in Spokane saw service reductions during the recent economic downtown. Prop 1 is an opportunity to get back some of that lost bus service and gain new service including an expansion of paratransit for the disabled and senior citizens, additional van pool vans. Proposition 1 in Spokane is the result of five years of public input and debate. The goal is greater access to buses: more choices, more mobility. It is time for Spokane County to upgrade transit to better support working families and students and to make our region more competitive in the regional and global economy. Regardless of whether or not you ride the bus, we all benefit from an improved bus system. The funding provided by Proposition 1 will replace outdated bus equipment and save millions of dollars by increasing the efficiency of the our bus system.